Which is the best way to burn belly fat? A Duke University study's findings. Which is the best way to burn belly fat? A Duke University study’s findings. Trim your belly fat with high protein dairy diets. McMaster University study findings. Beautytek instead of cosmetic surgery? A new study’s findings showed that the best way to burn belly fat is through aerobic exercise instead of weights lifting. Researchers from Duke University of North Carolina, US, have monitored people who did aerobics for 8 months and compared them to those who did just weights lifting. The group of participants into study lost almost 20 times as much fat around their stomachs. The aerobics group lost around 2.5 square inches (about 16 sq cm) of belly fat, and a group that combined both aerobic and weights lifting lost only 1.5 square inches (less than 10 sq cm). “Resistance training is great for improving strength and increasing lean body mass. Other study’s findings showed that those who combined weights lifting and aerobics didn’t see any further health benefits than those who only did aerobic, in terms of insulin resistance and liver fat, as Live Science reported. Duke University researchers therefore concluded that aerobic exercise alone is more beneficial for obese and overweight individuals. According to specialists, “belly fat” is defined as visceral fat, which is found deep in the stomach that surrounds the internal organs, as opposed to subcutaneous fat that is found underneath the skin. 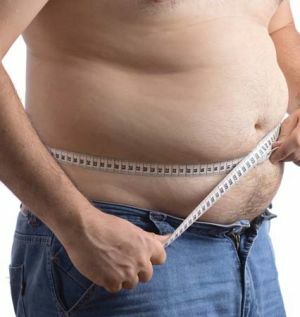 Visceral fat is more threatening to health, as it lies closer to the organs and is associated with diabetes, heart disease and certain types of cancer. Duke University researchers studied 196 overweight, sedentary adults between 18 and 70 ages, who were divided into three exercise groups – aerobics, weights lifting and combined. “When it comes to increased health risks, where fat is deposited in the body is more important than how much fat you have. “What really counts is how much exercise you do, how many miles you walk and how many calories you burn. The study will be published in the American Journal of Physiology Endocrinology and Metabolism. Vladimir Putin led a biker gang on motorcade at Novorossiysk festival.